Hearing you have high cholesterol can be a scary diagnosis. Followed by the dreaded “you need to eat heart healthy food” advice from your doctor doesn’t make the situation seem any better. But actually that news is not all bad. First of all, changing your diet puts you in charge of your health. You are not a victim at the whim of chance; you can actually do something to help heal your body and reduce your risk of heart disease. Secondly, a diet change does not mean a bland diet. Here are some simple ways to sneak in delicious heart healthy food into your meals and snacks and take charge of your health. 1. Go Nuts with raw Almonds, Walnuts or Cashews! Eat them whole or chop them to add in cereal or yogurt. Finish off a stir fry or salad by sprinkling nuts on the top right before serving, or spread nut butter on whole grain bread. Nuts are a source of many heart healthy nutrients including magnesium, vitamin E, copper, and essential fatty acids that help keep your heart healthy. The bad news is they are also high in calories, so moderation is the key. Try a handful or two a day. 2. Get Fat from the healthy fat found in Avocados. It may seem counter intuitive to eat something as fatty as an avocado while trying to reduce your cholesterol, but avocados are high a heart healthy food high in monounsaturated fats. And studies have shown that monounsaturated fats can raise HDL (the good cholesterol) while lowering LDL (the bad cholesterol) when a person eats in their overall diet a 3:1 ratio or less of omega-6 to omega-3 fatty acids. A healthy way to sneak avocados into your diet is to use them as a replacement for mayonnaise on your favorite sandwich. Not only are they a healthier alternative, but they also add a new flavor. 3. Munch Berries. A daily helping of strawberries, blueberries or raspberries delivers a powerful dose of antioxidants without spiking blood sugar. Frequently spiking blood sugar is a risk factor for heart disease. And the antioxidants and other phytonutrients in berries battle inflammation in the body. Inflammation is a major cause of plaque accumulating in the arteries. But only eat organic berries or berries that have not been sprayed with pesticides. Commercial berry producers use copious amounts of insecticides and fungicides and it’s near impossible to wash them off the berries. Of course berries have few calories, so when you find a good supply, eat up this great heart healthy food! 4. Add Cocoa. 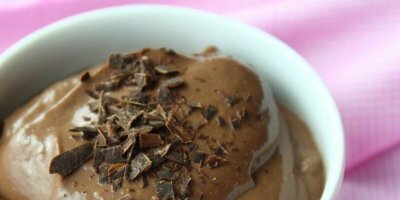 Mix natural unsweetened cocoa powder into smoothies or combine it with stevia-leaf sweetener in soy or almond milk for a sugar-free chocolaty treat. Cocoa powder can also enhance chili dishes and add new flavors to soups and sauces. It even works in a delicious avocado-based stevia-sweetened pudding dessert. Cocoa is not just for sugary desserts and hot beverages. Let your imagination be your guide as you experiment with this under-the-radar heart healthy food. 5. Eat your Oatmeal. Oatmeal contains soluble fiber which reduces the amount of cholesterol that gets absorbed in your bloodstream and lowers your LDL cholesterol. The most active cholesterol-lowering part of oats is a soluble fiber called beta-glucan. Unfortunately, just a bowl or two a day of oatmeal probably won’t lower your cholesterol that much. A convenient solution is Nutrim ®-brand oat bran, which packs the cholesterol-lowering power of several bowls of oatmeal in a single powdery scoop. Nutrim ® is 100% natural, tasteless and mixes easily in food and drink. It’s made only from oats with no other ingredients and adds a creamy texture to things like pasta sauce, salad dressing, soups, and gravy. Even mix it in plain water. So get the benefits of oatmeal without having to eat bowls of it day and night. So a heart healthy meal plan doesn’t mean eating bland or unappetizing foods. By incorporating the above tips, you can take charge and still enjoy a tasty meal. For more information on lowering your cholesterol naturally, check out http://www.hearthealthysolution.com.